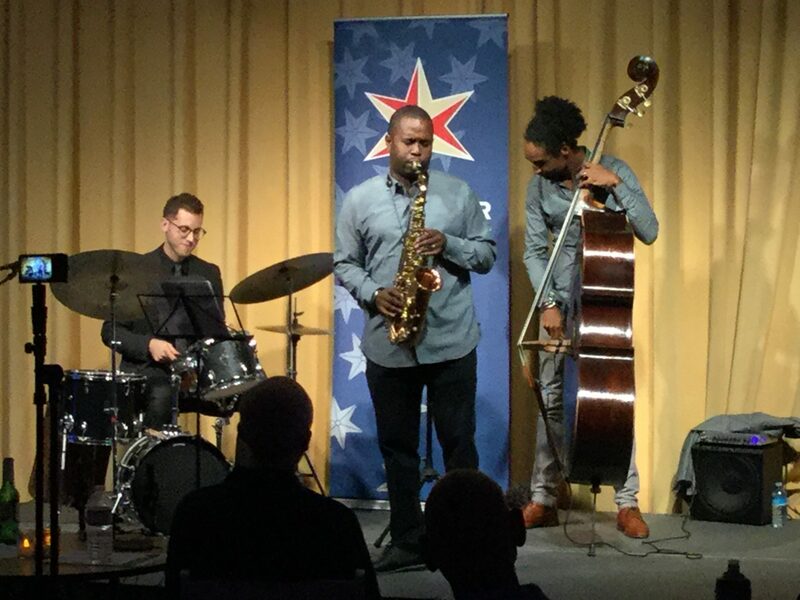 Hill Center aims to broaden the horizons of all who enter by providing high-quality arts, education and cultural programs and other opportunities to engage more fully in the life of our city. With partner organizations and also on our own, we offer classes and courses for people of all ages and backgrounds, along with space for meetings, lectures, performances, gallery exhibitions and other events. While preserving the Old Naval Hospital’s historic fabric, we will keep the Center vital, relevant and financially self-sustaining for generations to come. Please note hours are general guidelines and subject to change for special events and programming. Hill Center Galleries are open during our regular business hours. There are occasional closings for special events. Call (202) 549-4172 to confirm availability. The main visitors entrance is just off 9th Street, SE under the black awning. Hill Center is 2 blocks east of the Eastern Market Metro stop on the Blue, Orange, and Silver lines. Hill Center does not have a public parking lot. 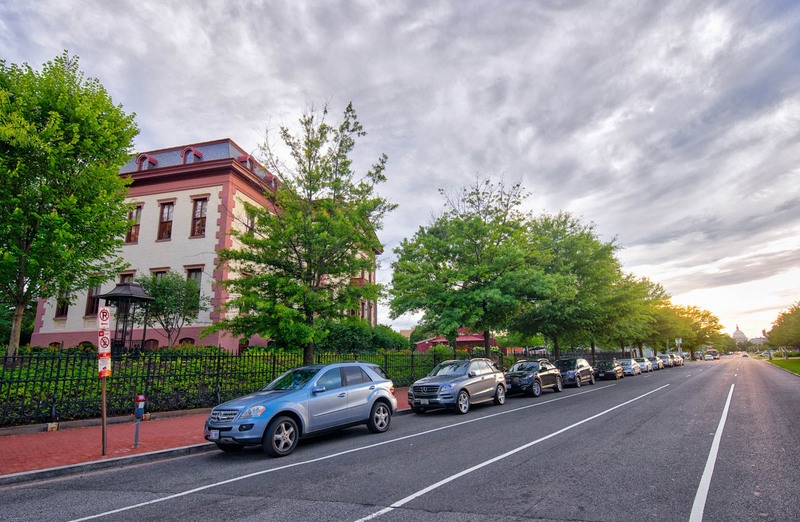 Parking without residential restrictions is available at meters on Pennsylvania Avenue, SE in front of the building. Street parking is limited and specified for Zone 6 permits. Vehicles without Zone 6 permits may not park for longer than two hours at green parking signs, and only vehicles with Zone 6 permits may park at red parking signs. Please read all signs carefully. Long-term pay parking is available under the bridge at 8 th and I Streets, SE, and weekend parking is available at the Tyler Elementary School lot on 10th Street , SE between G and H Streets, SE after 4 p.m. on weekdays during the school year or at all times on weekends or during summer break. Please complete this application form if you are interested in becoming a Hill Center volunteer. Volunteers staff the front desk at Hill Center, greeting visitors, answering phones, registering guests for events and handling inquiries. Docents will work at Hill Center, conducting tours of the Old Naval Hospital building, the Grounds, and the Carriage House on a regular schedule. Hill Center docents will undergo a training program that will provide detailed information about the history and the major concepts and goals of Hill Center. Volunteers will assist at select community events to hand out information, encourage participation by the community in the activities of Hill Center, recruit volunteers, discuss fundraising and answer other questions about Hill Center. These volunteers will assist the Facilities Manager and the landscaping company with the planting, clean-up and the general upkeep of the Hill Center gardens. Volunteers will be needed to help and provide back up to Hill Center staff during public, private and community events. Assistance is needed hanging up posters and dropping off other promotional materials throughout the neighborhood and DC area. For those volunteers who may not want to work with the public, various behind-the-scenes activities are available such as helping with mailings, data entry and other office tasks, writing text for brochures and other publicity and communications vehicles, researching new activities and assisting with the development of workshops and classes. Assist with receiving new artwork and processing outgoing artwork from previous exhibition for return to artist or to purchasers, take items to the proper galleries, hang and level items for display, collect consignment agreements, artist statements and labeling information. Applications will be accepted until the position is filled. If the position is still posted, then we are still accepting applications. 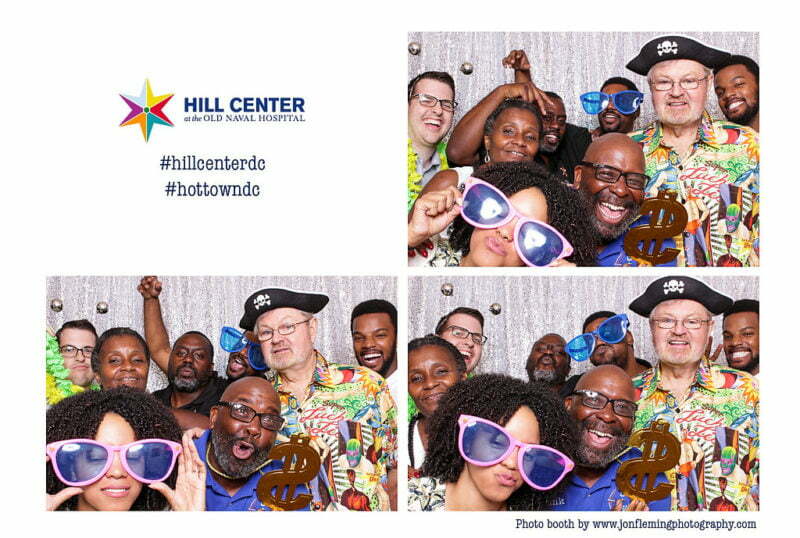 Hill Center, a vibrant home for culture, education and city life on Capitol Hill is seeking a dynamic individual to provide part-time support (20-25 hours per week) to our special events department. The ideal candidate will be energetic, creative and reliable. MUST BE WILLING to work nontraditional hours as needed, including many nights and weekends. Excellent oral and written communication skills are imperative. Starting salary $14/hour. 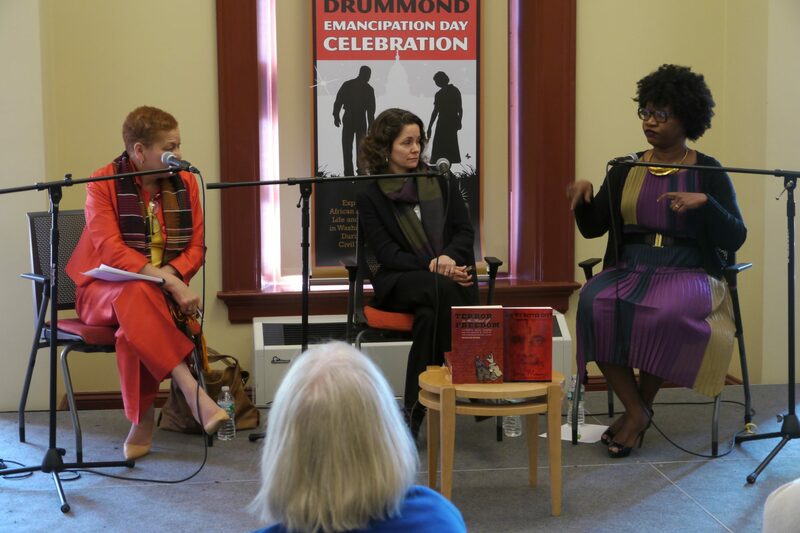 Hill Center is a non-profit organization that provides high-quality arts, education and cultural programs for people of all ages and backgrounds, along with space for meetings, lectures, performances, gallery exhibitions and other events. Enter reservations into the computerized facilities calendar and space reservation system. A self-motivated, team player with organizational/logistics experience. Excellent administrative, and time management skills required. Must have strong written and verbal communication skills and be dedicated to providing the highest quality experience for Hill Center patrons and guests. Some sales experience is a plus. Interested applicants should submit a résumé and cover letter explaining their interest in the position and detailing relevant qualifications and experience to: jobs@HillCenterDC.org. Applications will be accepted until the position is filled. Hill Center’s third floor has been turned into 9 elegantly appointed small office spaces for non-profit organizations. Office space in the ADA-accessible building comes with reception services at the front entrance of the building; shared access to a staff kitchenette; a Conference Room furnished with a table and chairs that will accommodate 14+ individuals; and an informal seating or “huddle” space. Basic internet connectivity via Ethernet jacks and utilities are included in the monthly use fee that ranges from $850 to $1,200 per month, depending on office size. A state-of-the-art geothermal heating and cooling system allows each occupant to individually set their thermostat, and the windows in every office open. Additionally, Hill Center rents space to organizations on a long-term basis for those who might need space during a remodel, due to displacement or other needs. If you would like more information or to see the space, contact Diana Ingraham at (202) 549-4172 or diana@hillcenterdc.org. Here are some of the most commonly asked questions we receive. If you’re looking for information about renting space for an event, head over to our Events & Rentals page. If you’re looking for information about our Galleries, head over to the Galleries page. 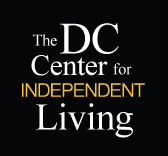 If you have a question that isn’t answered here, please contact info@hillcenterdc.org. Yes! You can purchase one here. If you received a gift certificate via InstantSeats, just call (202) 549-4172 or email programs@hillcenterdc.org. We’ll get you registered! I bought tickets, but now I can’t attend! Can I get a refund? All ticket sales are final and non-refundable. There are no refunds unless an event is canceled. If you are unable to use your tickets, you may transfer them to another person. To transfer a ticket, contact Hill Center at (202) 549-4172. In some cases, if we are able to sell your ticket or fill your seat, we will be able to give you a refund or credit. For non-Hill Center programs and classes, please contact the program provider directly. Seating is general admission on a first come, first served basis. Doors open 30 minutes prior to the event. How do I teach a class at Hill Center? 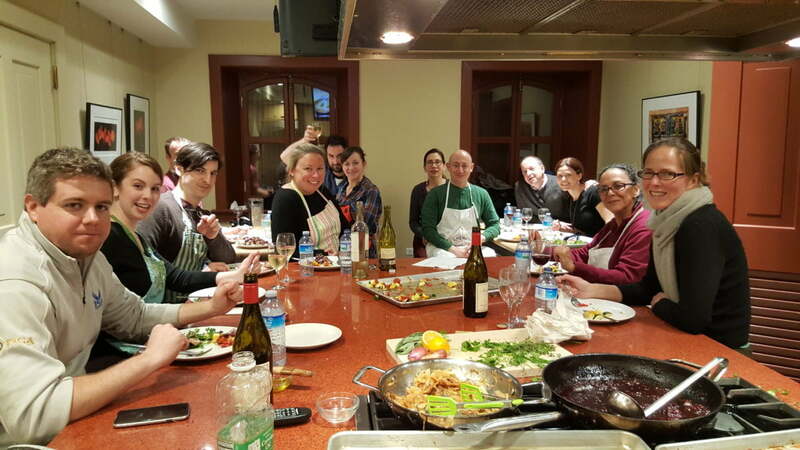 If you’d like to offer a class at Hill Center, please fill out our Propose a Program form. Our programming team will review and consider the proposals as they come in. If they would like to discuss your proposal in more detail or move forward with it, our staff will be in touch with you. What is your recording and photography policy? Hill Center programs may be filmed, recorded or photographed for promotion, fundraising or other purposes. Your attendance in the audience shall be deemed your consent to appear in such recordings or photography without compensation of any kind. Artists or program partners may have specific restrictions for photography or recording of events. I need a press pass. What do I do? If you are a member of the press interested in covering an event, submit your request at least 24 hours in advance to Maggie Myszka. Press passes are limited. Yes. Our main entrance, located under the awning on the 9th Street SE side of the building, is accessible. All floors in the building can be reached via an elevator. Do you offer sign language interpretation? ASL interpreters are available for programs. Please email programs@hillcenterdc.org at least ten business days prior to the event. Hill Center is operated by the Old Naval Hospital Foundation, a 501(c)3 organization. Nicky Cymrot, president emeritus, also heads the Capitol Hill Community Foundation. She has been engaged in residential and commercial real estate investment, construction and management on Capitol Hill for more than thirty years. Tunde Wackman is a senior marketer and strategist. Her professional experience spans across a variety of roles in strategic planning, business development, marketing, communications and financial analysis. She heads up brand partnerships for Motherly Inc and has held leadership positions at The Washington Post and Atlantic Media Company. Cathie Woteki was Under Secretary for United States Department of Agriculture’s Research, Education, and Economics mission area, as well as the Department’s Chief Scientist. 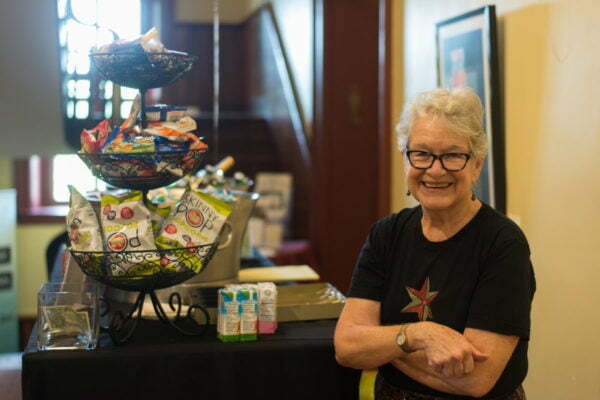 Cathie is a long-time resident of the Capitol Hill community.